We received over 250 nominations! Thank you for taking such care in writing about the people in your community who are deserving of awards. The Strategic Leadership Team met to make the decisions for the bulk of the awards and it was an amazing experience. In all categories there were multiple people named who are more than deserving for each award, it was incredibly hard to make decisions. We hope that you enjoyed the process as much as we enjoyed reading your thoughtful words. 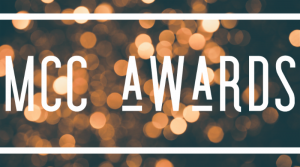 In the coming weeks, we will contact those whose nominees were not selected and will start to present awards at one’s local congregation as soon as the physical awards are created. As awards are presented, we will announce the recipients. By June, we will send out a final announcement with all awardees listed. Thank you again for all of your support in this process! We are overwhelmed with gratitude over the amazing ways God is using MCC leaders and congregations to make a difference in the world! We’d love to hear your feedback on this process by responding to the quick poll below. Would you like to see MCC collect open nominations like this in the next award cycle?